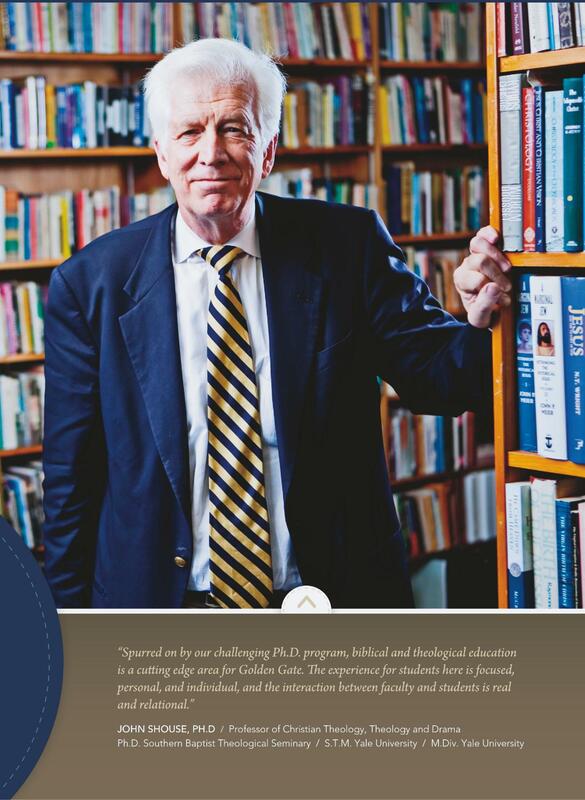 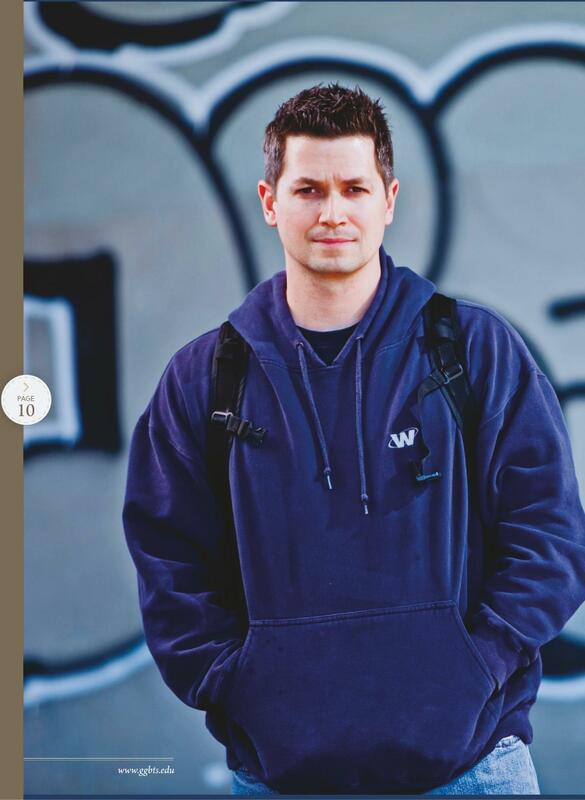 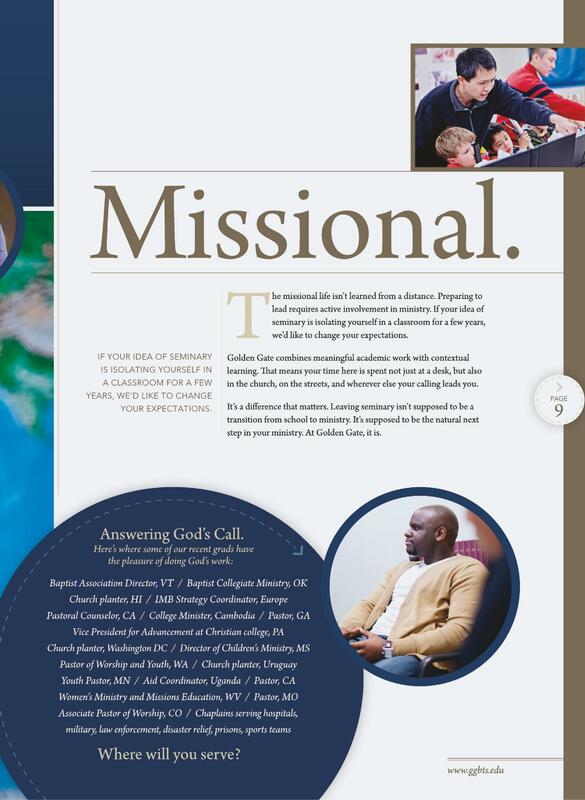 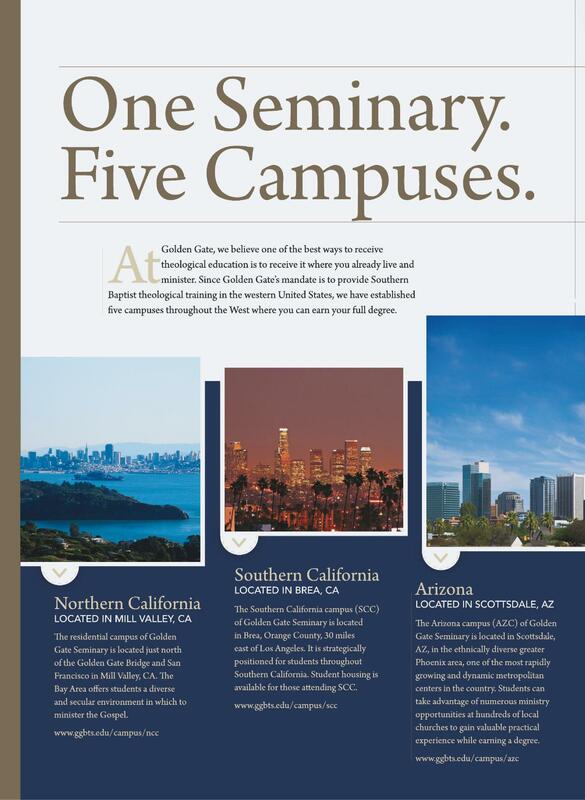 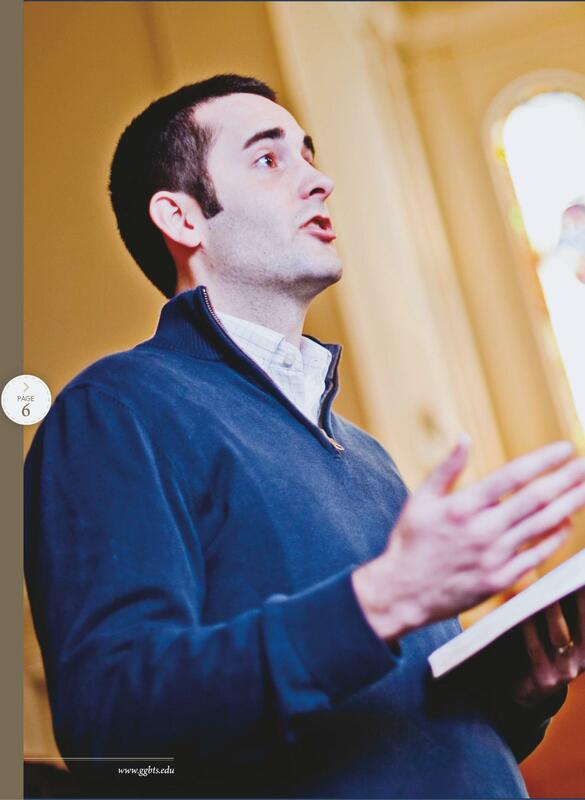 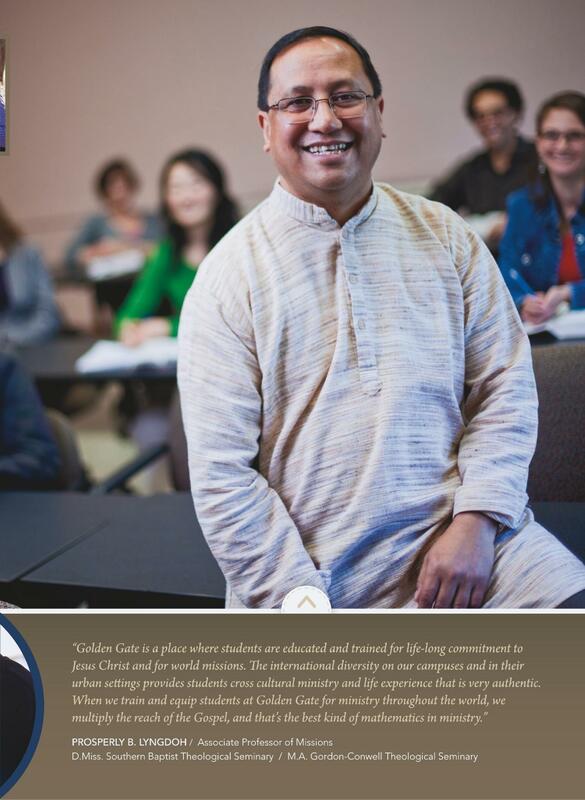 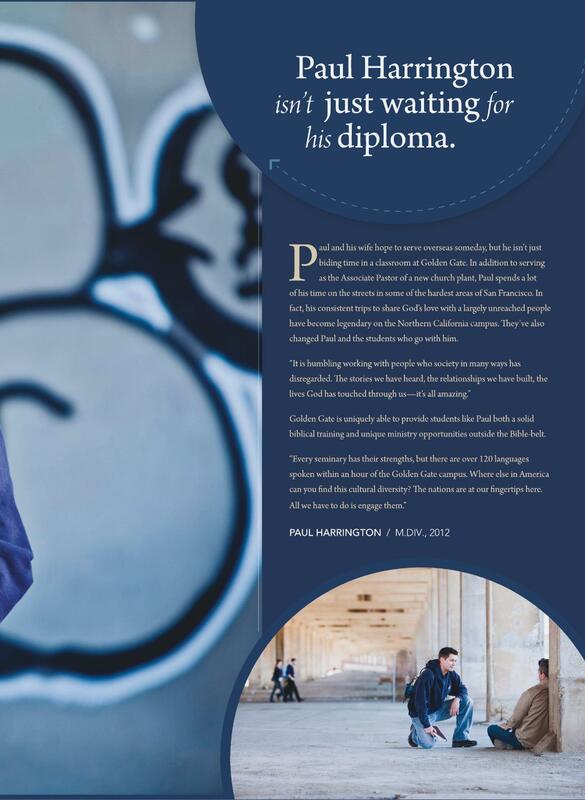 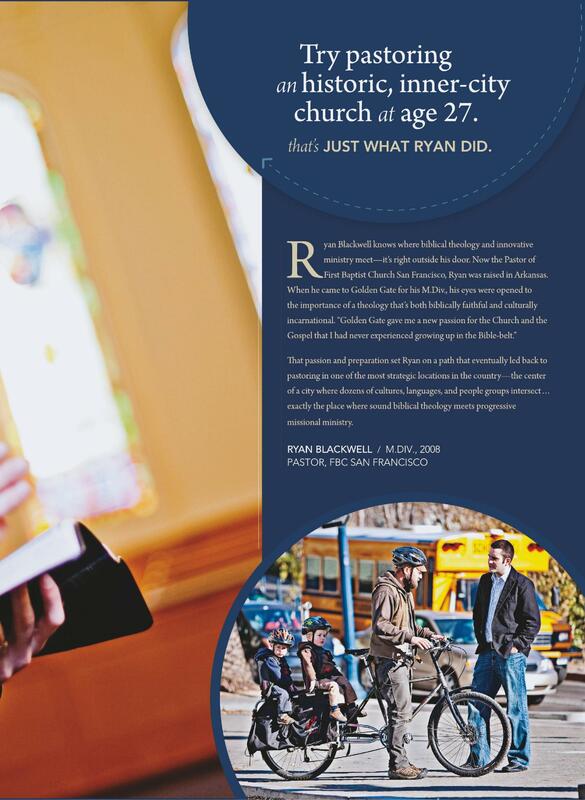 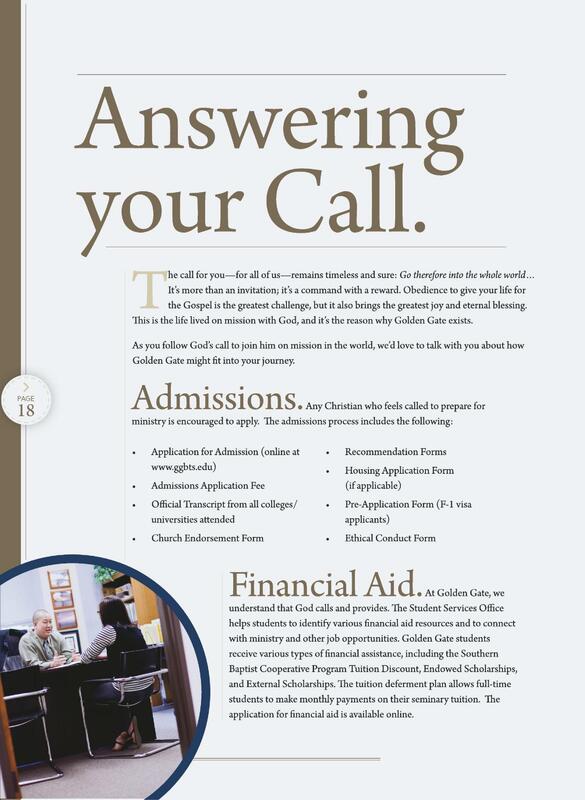 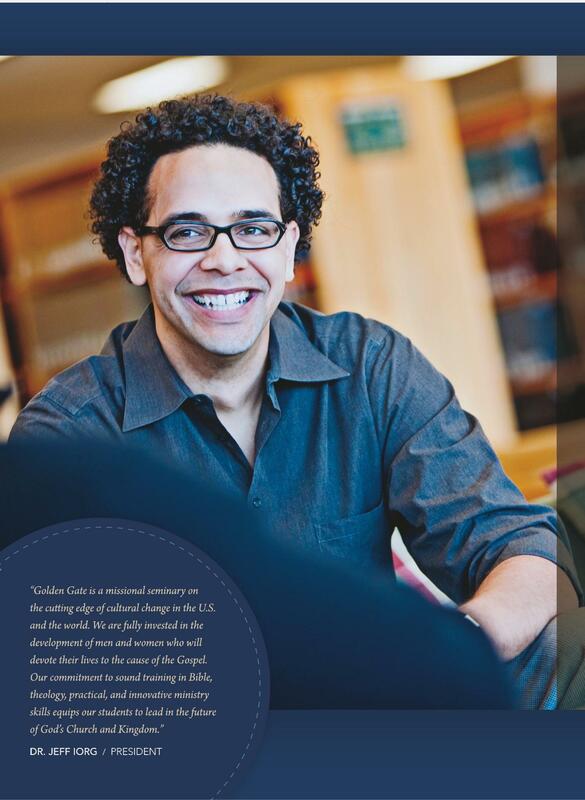 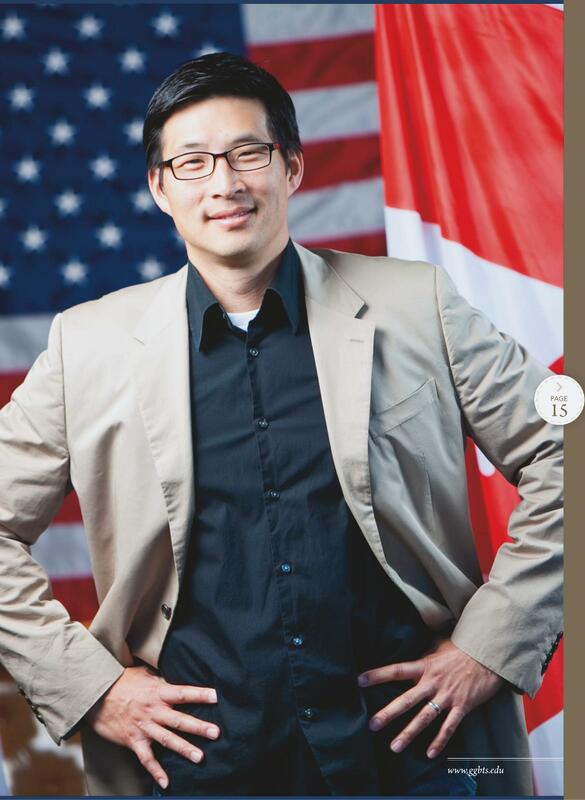 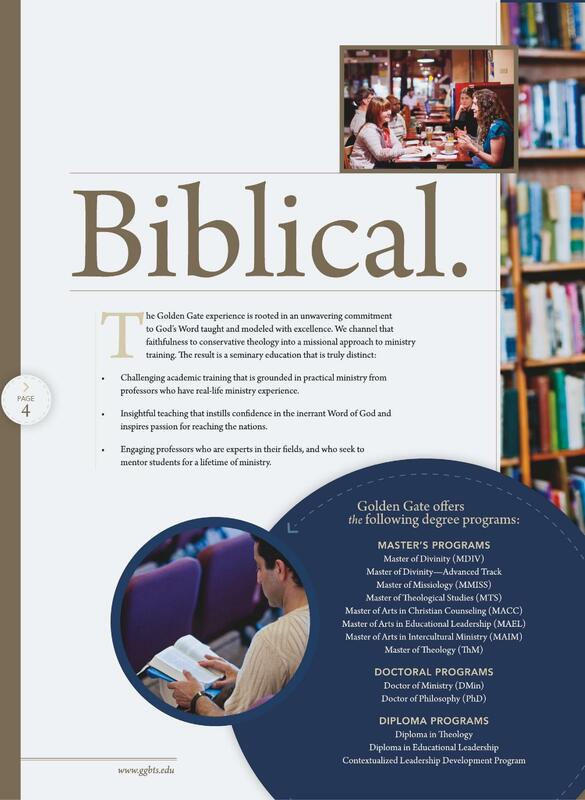 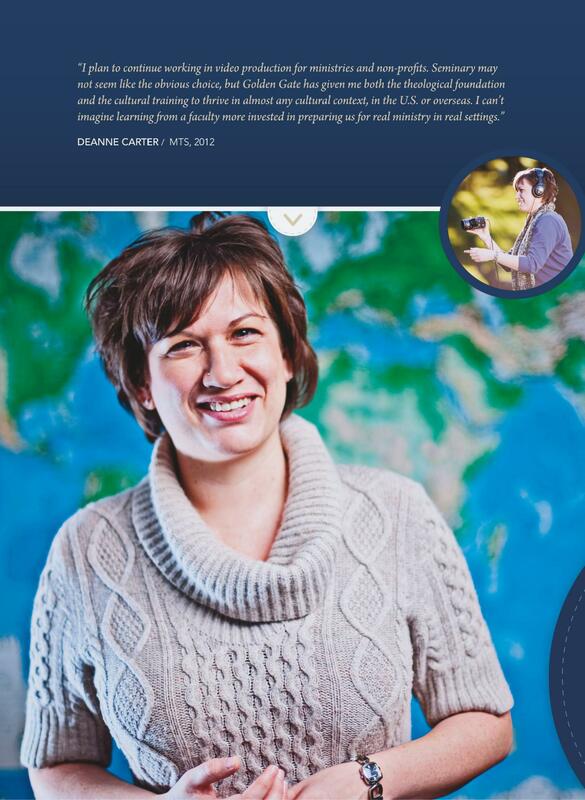 As part of Golden Gate Seminary’s award-winning rebranding project, Phyllis worked with Details Communications to create a 20-page promotional booklet that was used as a recruitment and marketing tool. 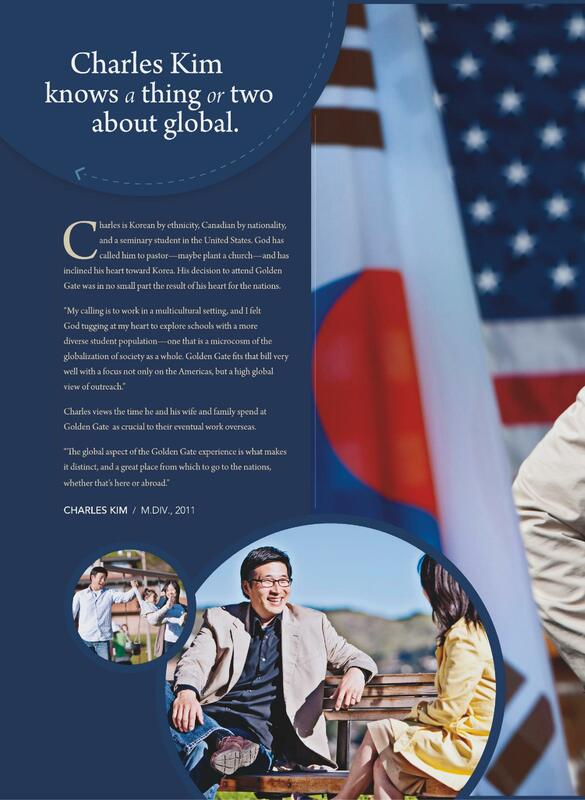 It included numerous photos that showed the diversity of both students and faculty, and described the degree programs, the various campuses, and an overview of the admissions process. 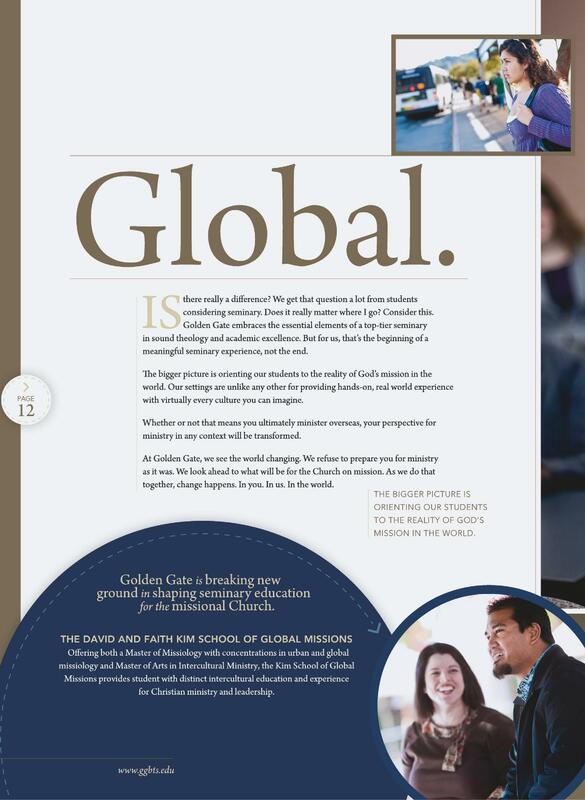 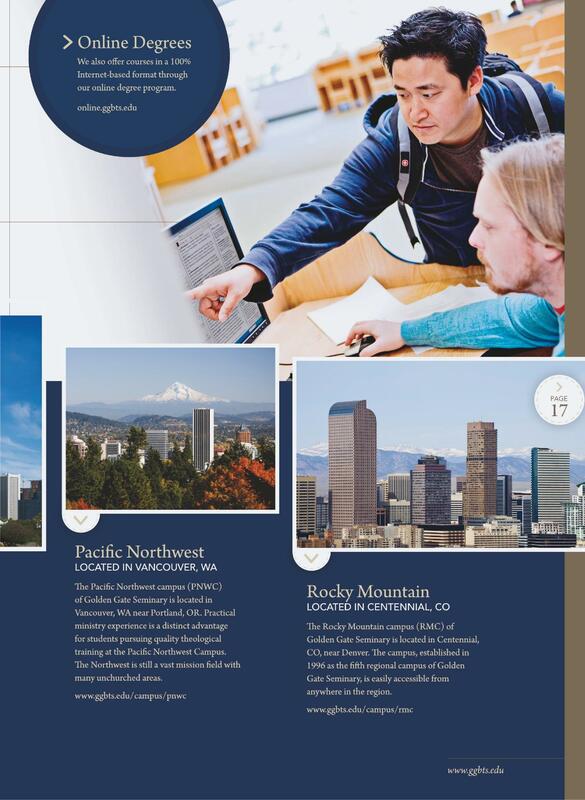 It was designed with a pocket in the back inside cover, where specific degree program brochures could be added to customize for prospective students.